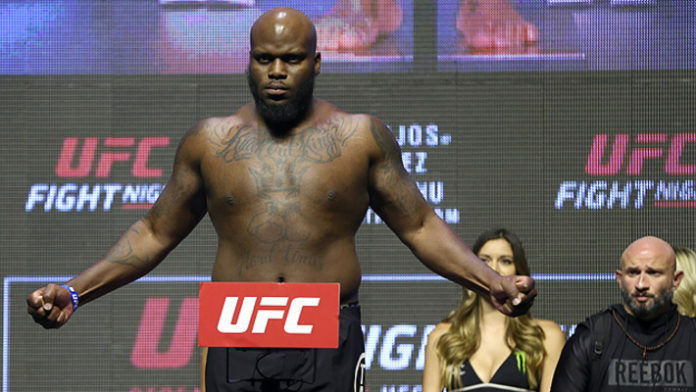 Derrick Lewis appreciates receiving his first Ultimate Fighting Championship (UFC) heavyweight title shot, but admits he believes Stipe Miocic deserves a rematch. Yesterday (Oct. 9), it was revealed that heavyweight champion Daniel Cormier will defend his gold against Lewis in the main event of UFC 230. The card takes place inside Madison Square Garden in New York City. The news came as a surprise to many as Lewis is medically suspended until Nov. 6, which is three days prior to UFC 230 and Cormier is dealing with a hand injury. Despite these issues, it’s apparent that these are small hurdles that can easily be cleared. Lewis made one of the best comebacks in the history of the sport this past Saturday night (Oct. 6). Needing a finish in the worst way, Lewis knocked out Alexander Volkov with just 11 seconds left in the fight. Volkov was cruising to a clean sweep before eating the right hand from hell and having his lights shut off on the ground. Are you okay with Stipe Miocic being passed over for UFC 230?